The Villa Thalgo & SPA, hotel's partnaire, is located 6 minutes walking distance. 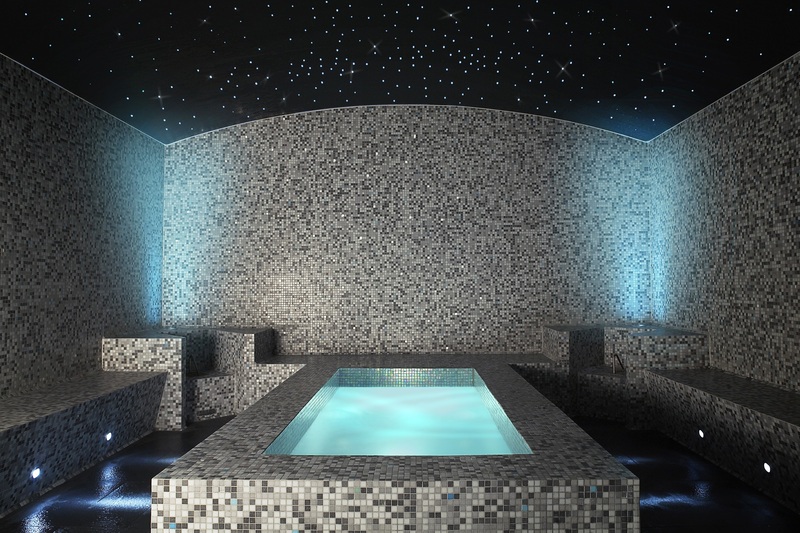 Enjoy our exclusives offers to take care of yourself ! 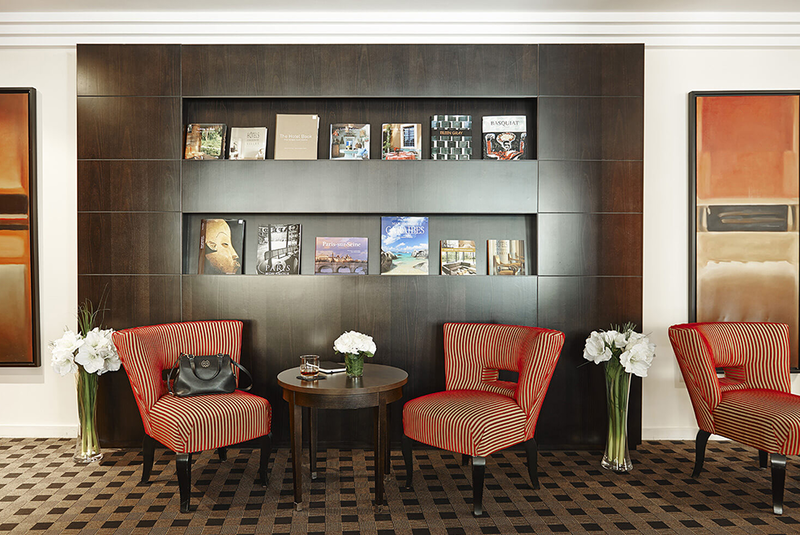 Bookings through hotel reception. 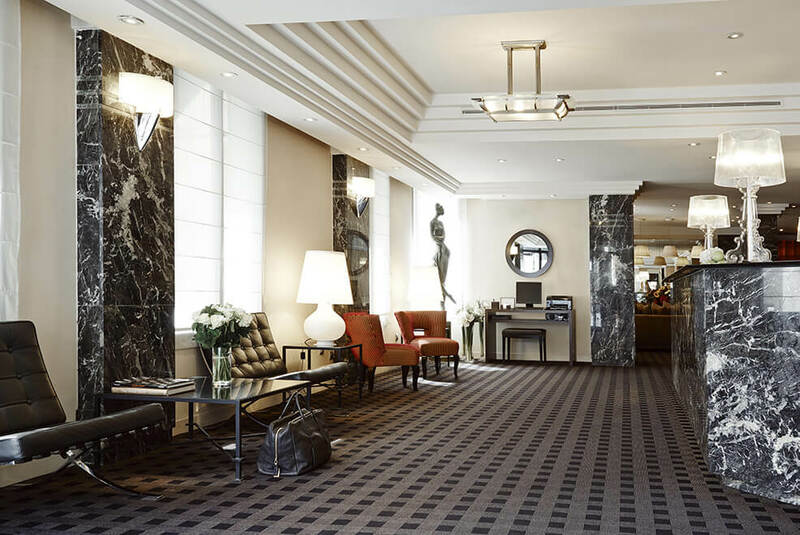 From the exquisite black marble reception to the exceedingly stylish furnishings of the rooms, the personality of the Hotel Plaza Tour Eiffel is expressed in each and every decorative detail. 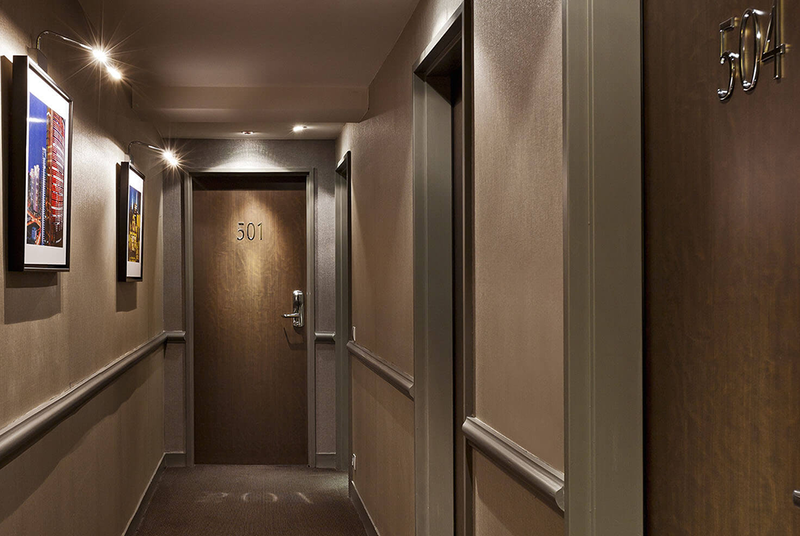 The owner of the hotel was keen to offer real comfort while placing the spotlight on beautiful creation. He made a tasteful selection of furniture and decorative objects. He acquired the services of the biggest names in design to help realise this vision. So we must thank Mies van der Rohe for the Barcelona low fireside chairs, Philippe Starck for the Roméo Soft lamps, Max Ingrand for the Fontana lamps, Antonio Citterio for the bathroom fittings, and also Jules Flipo, Philippe Hurel, Osborne & Little, Victoria Carpets, Zimmer + Rohde, Flamingo and Epeda. 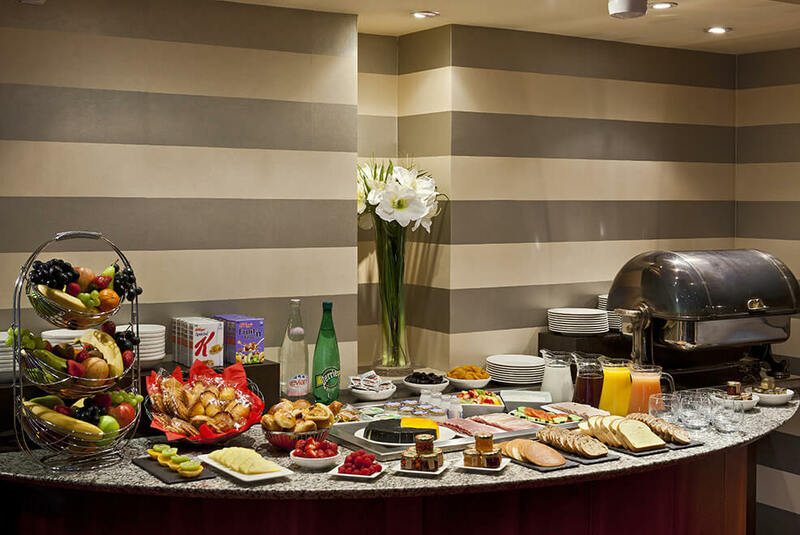 Every morning, the Hotel Plaza Tour Eiffel offers a delicious and varied breakfast presented in the form of a buffet. You can enjoy from 7am to 11am a selection of high quality products, including bread and pastries, of course, but also hot dishes, delicatessen, cheese, cereals, fresh fruit and organic products. We also offer a room service should you like to have breakfast in your room. 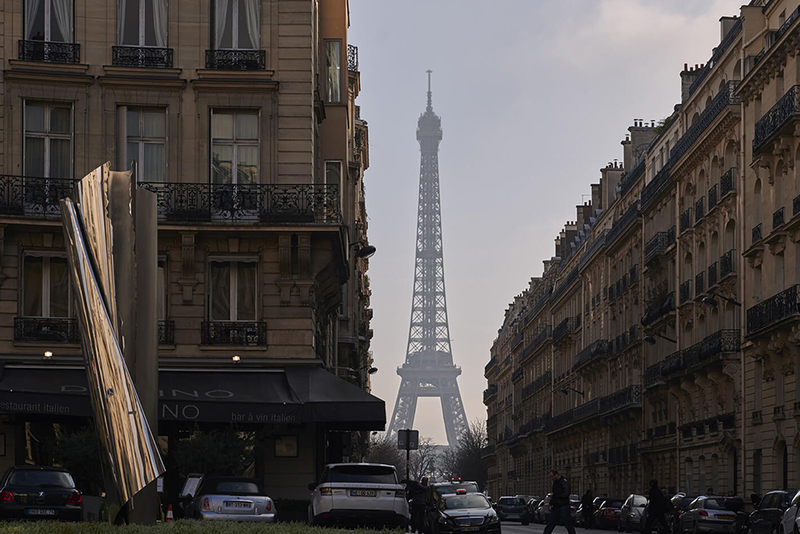 Rowing machine, stationary bicycle, treadmill and stair climber: the Hotel Plaza Tour Eiffel fitness centre is fitted with the most sophisticated exercise equipment to help you stay in shape. Weights and mats are also made freely available to you in this very pleasant wood-panelled room, which also has a television and a water fountain. 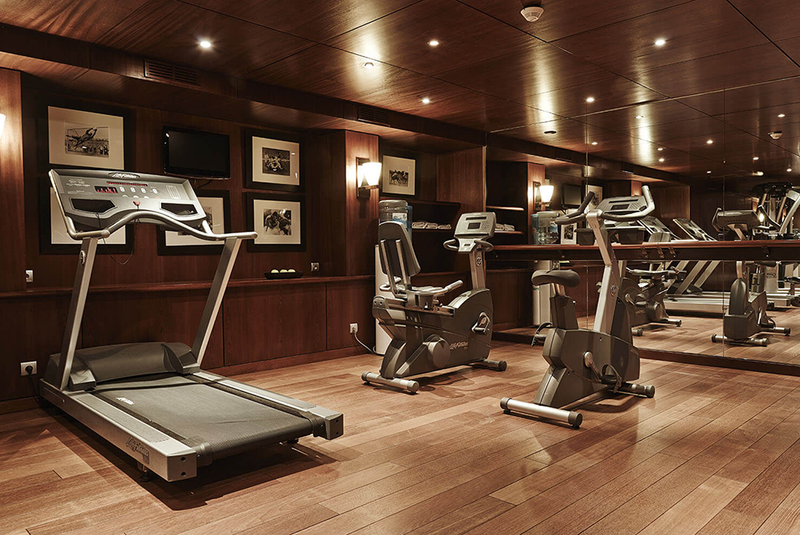 (Fitness room is open exclusively for the guests of the hotel 7 days a week and 24 hours a day). You can also, through our concierge, book a personal coach or take advantage of the services offered by the massage centre next to the hotel, which is open 7 days a week. We have chosen to limit the amount of water, energy and detergent used – with the help of our guests and all the staff at the hotel – by giving them the choice of reusing their towels, or asking them to be changed. Our cleaning products are from an eco-friendly range. They respect the health of users and preserve nature. We encourage ‘waste separation’ for recycling purposes. All our light bulbs are energy-saving. We have chosen a range of dishes, served in the glass jars, inspired by the traditional French cuisine. Every dish is steam heated in order to maintain all the nutritional qualities of every ingredient. 100% of the meat used is French origin certified.